Edwardian character features on the outside, contemporary inside, and a basement with the potential for development. Edwardian townhouse on Sycamore Road, Bournville. This unusual early Edwardian house in the heart of Bournville, Birmingham, already has three storeys worth of accommodation. Yet there is scope to create another level of living space thanks to its large basement. 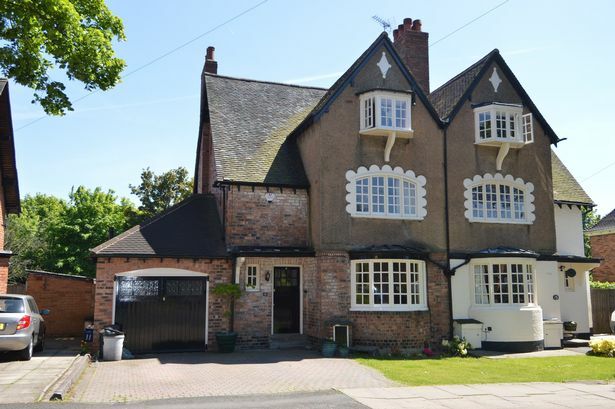 This semi-detached house on Sycamore Road retains its character features and charming quirks on the outside, though it has a slightly more contemporary feel on the inside. The hallway has oak flooring and the sitting room features a bay window and period-style fireplace. There’s also another reception room with French doors to the garden. A dining space leads into the fitted kitchen with integrated appliances. Glazed double doors lead out to the garden. On the first floor are two bedrooms and a family bathroom. On the second floor are two more bedrooms and a storage room. Guide price: £450,000. Agent: Oulsnam on 0121 433 4500 or click here to visit www.oulsnam.net .